Understanding Tiphareth and its relationship to the other spheres is to experience the pure joy underlying every moment in the infinite universe. Tiphareth is harmony and balance. 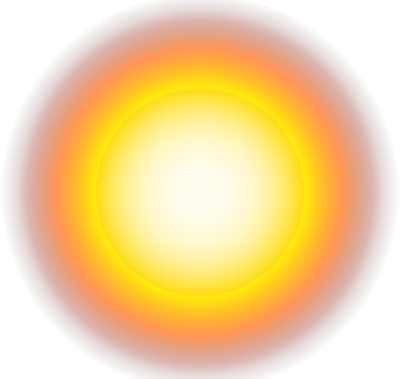 Perfectly centered (symbolized by Sol, “the Sun”), it reconciles the highest with the lowest, and balances out the tensions of the left and right sides of the Tree of Life. Tiphareth is the sphere of the magician, guru, or holy man. While Kether is the most pure representation of “God,” and can occasionally be experienced in intense meditation, magick, or under the influence of entheogens, Tiphareth is highest sphere that we can experience the bliss of God and still maintain our day-to-day consciousness. When I say “God” here, I don’t mean any dogmatic representation of divinity. I simply mean a deep-rooted sense of connection to the universe in a harmonious fashion. Feeling holy or spiritual is just a general sense of well-being you have with you at all times. Tiphareth is all about this good feeling. You cannot find these good feelings through grasping or clinging to external things. You can find peace by focusing on “the now.” As every second of your life unfolds, the moment of its unfolding is Tiphareth. Tiphareth is always the present moment. To experience Tiphareth with all its harmony, balance and joy, is merely to experience the present moment fully. While Tiphareth expresses the beauty and clarity of a clear summer day, death is also here—in the form of resurrection. All Osiris-like gods (Jesus, Dionysus, Krishna, etc.) are attributed to Tiphareth. They exist. They die. They are reborn more powerful and enlightened than before. Even as you read this, the everlasting moment is now forever blooming before your eyes and senses. Be here. Be present. Stay with yours senses. Don’t hide. Don’t think about your past; don’t anticipate your future. Be bold enough to be right here, right now. Have fun. Find beauty in everything. Recall that feeling now. This feeling is the essence of Tiphareth. Ritual and talismanic uses: Invoke for inspiration and creativity and to connect with your higher self. All healing spells would do well to utilize Tiphareth as well.